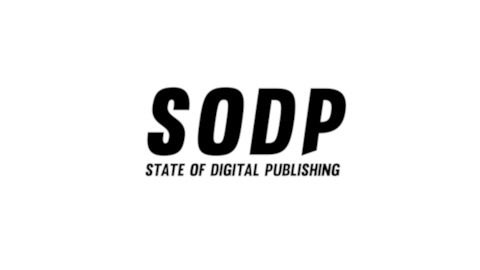 State of Digital Publishing is an online publication covering media technology trends, perspectives, and news for online publishing and media professionals. Join us for bi-weekly talks on individual perspectives and playbooks from industry leaders. In this episode, we speak with David Markovich, founder and CEO of “Online Geniuses”, one of the largest Slack communities, on the milestones and lessons towards reaching 15,000+ members and how he wants to reach 2 million sent messages. Speaker 1: State of Digital Publishing is creating a new publication, and community for digital publishing and media professionals in new media and technology. In this episode, we speak with David Markovich, founder, and CEO of Online Geniuses. David is a product, and back builder with a marketing background as a direct consultant for some of the largest brands, including Google, Comedy Central, and many more. Let’s begin. Vahe Arabian: Hi, David. How are you? David Markovich: I’m good. Thanks for having me. I’m honored to be on your podcast. Vahe Arabian: I appreciate your time, David. But we spoke in the past and you’ve given me some fantastic insights around building your online community, and it’s great to disseminate this to everyone else. Thanks for joining us. To start off with, can you tell us the basic details, for those who know little about OJ? David Markovich: Yeah, sure. Online Geniuses is essentially the social network for digital marketers. The network is relevant because marketing continuously evolves, with different trends happening, tools, and strategies popping. So, if you wanna stay in the loop, it’s fairly hard to discover where the industry is going, on your own. So, I think with a group of people you’re able to communicate and learn from others, especially in different countries and different cities around the globe. Online Geniuses helps you see what other people are using, and build relationships. It’s a vetted community, which has around 16,000 members that were vetted, manually. The quality of our network is high and the engagement is remarkable. Probably, when this podcast goes live there’ll be two million messages sent within the community. Vahe Arabian: It’s awesome. That’s a good answer. I believe you’re on Slack only. Am I correct? David Markovich: Yeah, we’re based on Slack, but we do a lot of things in person. We organise breakfasts, dinners, drinks, meet-ups, and so on, which help people interact face to face. Vahe Arabian: How important do you think offline communication is to community engagement? David Markovich: I’ve had friends I met online and we chatted for years, and our relationship become much stronger overnight while hanging out than having dozens of online conversations. Cause you get familiar with the person, and it gives you the chance to pop back in the community and kinda search for that new person. You’re like, “Oh, wow, I bonded with these people.” It encourages folks to set up their own in-person events, using the Online Geniuses community. Vahe Arabian: That’s quite true. There’s always someone who’d have that place in their minds because they’ve met you in person. Being an individual rather than just as a virtual person, I guess. David Markovich: I think people online differ greatly from their real personalities. I also run a community for mental health, and I realized a big problem, especially amongst teens, which is — people think these online folks, who wants to meet them are exactly opposite to how they are in person. David Markovich: So, you see them on Instagram wearing the [Age of Years 00:04:07] and everyone seems to be on the occasions with friends and going to cool places. But when you realize that’s a very tiny part of their life, and a lot of times when they’re in those situations they don’t enjoy it as much as somebody who’s not chasing that online karma or that online perception. It’s very hard to enjoy the moment, if that’s what you’re chasing. Vahe Arabian: This makes sense. That’s a good way to the point. So, why choose Slack and what’s the idea behind how Online Geniuses got to where it is today? David Markovich: Funny enough, I‘m watching that happen with another community I recently started. I want to connect people. I do digital marketing together in a group. So, I put them on Skype, and went through my Skype list. Then, I started adding other digital marketers on this group till I hit around 30 or 40 people. David Markovich: I started a Whatsapp group, with all the people I know in New York, who are well connected. Now, they wanna add their friends, and the group is expanding. It’s very similar to déjà vu. At some point we have like 300 people on the Skype group, and that was before you could mute communities, and it was becoming very painful for people to be part of the community just because of how annoying it was. I found it annoying too, and I discovered Slack. I moved the community over to Slack because people were used to chatting in the live chat or in the live chat type of ecosystem. So, I moved everyone over to Slack and we grew from there. Vahe Arabian: Did you ever consider Facebook groups, or like you said, you’re speaking about Reddit, how it’s a tough crowd, and I asked if you’ve sort of crossed that off the list when moving it over to Slack. Did you consider any other platforms, in your decision making? David Markovich: Yeah, I considered quite a few. Facebook and LinkedIn were totally out of the option because you don’t want to be so reliant on the platform, right? So, the more reliant you are on the platform, the lesser your control, and you almost have zero control on the Facebook or LinkedIn group. So, for example, if LinkedIn closes you down, the LinkedIn group or Facebook group is not active anymore, and it goes with the community. David Markovich: An aspect that was important, to me, was collecting everyone’s email address. Just in case whatever platform we’re on closes, it’ll be easy to migrate to something new, or if worse comes to worse, just turn it into our newsletter. I also wanted a platform, where we could set up a landing page, and you don’t really have that option in Facebook or LinkedIn. A landing page is a page, where people learn about the community, engage, and sign up to a newsletter. They can also see your social activities, meet-ups and AMAs. This means a lot, to me because my background is a search (seo). I wanted to make something that people could discover organically while searching online for our services. Vahe Arabian: Yeah, I guess that provides a huge advantage. You can credit different channels which can help you answer those people who wanna look for a specific topics, and I’m assuming it’s gonna also provide you the ability to export those contacts. David Markovich: Yeah, you’re able to export the contacts. People are already using Slack during work, right? But when people use Facebook or Reddit during work, it’s considered inappropriate. You can’t be on Reddit when your manager is right behind you, or your cofounder is sitting there, but if you’re in a Slack group, people view the platform as a work-social network. So, you’re going there to learn more and make connections or do something productive but social. It’s very hard to differentiate whether you’re in a Facebook group or you’re talking to a high school friend when in a social network like that. Vahe Arabian: Yeah. How do you see the adoption of Slack recently? Do you think it continued to grow, because it might also depend ’cause you’re working on two different communities, how do they see the difference between that. As a digital marketer, I see that ’cause we’re more digital oriented at the survey, we might adopt it more easily than a person in a different industry. David Markovich: Maybe, right? So, when Uber came out, it was the very technical app driven audience that was using Uber, at least out of my friends. So, my friends, who were in finance were still hailing cabs in New York City, and somebody was like, “Hey, check out Uber.” It’s more of that brain set off like the curious mind, and this is similar to marketers (we’re very curious). We’re willing to try new stuffs. we love to download things, criticize and find better solutions. That’s what makes us good marketers, I guess. David Markovich: But now, everyone uses Uber, and it’s slowly, slowly adapted fast where it’s like, “Wait, I could download an app and get me the car, and it made it easy.” I think that’s where Slack’s heading. I onboarded quite a few companies to Slack, and I dealt with all age demographics. As you were saying, some departments, because they have no interest, right? They’re kind of happy where they are and don’t see the need or don’t want to expand on what they’re using. They don’t wanna use their brain power to learn something new. They’re kind of set in their ways, and it’s not necessarily a bad thing because for certain departments that’s exactly the mindset you need. David Markovich: Like you’re working in compliance, you don’t want social media in compliance to have a marketer’s mindset like, “maybe we could do this! maybe we could do this!” You want someone, who’s like, “Hey, this is what’s going on, and we have to stay in this lane.” But I think slowly, it’s gonna be readopted, and if not ready all around, like they’re set up with [Hipper 00:10:37], they’ve got high security standards, and there’s no reason some super large corporations who haven’t adapted Slack should do so. Vahe Arabian: Yeah, my group is definitely going to Slack. I’m in the same bowl as you. I agree with that. So, let’s go back to the journey of explaining how OJ became what it is today. You spoke about how you had Skype, and grew your initial list; it grew out, then you moved all of it to the Slack platform. What were some challenges and what were some key milestones you achieved to get to your first thousands? David Markovich: Yeah, so initially, I was impulsive, so I decided, “Hey, I didn’t want this Skype group …” A lot of works are related in the Skype group, and there was a lot of connections there — people I liked hearing from. I made up my mind we’re gonna move to Slack. A lot of the comments were like, “What is Slack?” That’s how early it was. Like, “What is Slack?” I’m like, “No, it’s a platform. It has started out. It’s quite interesting.” Nobody wanted to move, so everyone thought the Skype community was over ’cause most of the community migrated to Slack, and a few were in Skype. Some had no interest in communicating in the community. So, it was a tough time till I threw up a landing page and onlinegeniuses.com. The community was branded as a Slack community and started different growth channels to build that up. David Markovich: I was just like, “You know what? I already made the move. I’m gonna stick to my guns and I’m gonna make this work.” That was a big moment. And then when I monetized, as time grew on and we hit like 100,000 messages, 200,000 messages, I realized it was working. With time, we monetized, hosted in-person events, and became recognized within the industry. It was very satisfying, especially that during the big transition I thought I lost it all, so it felt rewarding that it worked, and it worked. I’m not saying it worked the best, but it worked to the best of my abilities to push this alone. Vahe Arabian: No, I definitely see the people you bring on and how people engage in the community. You’ve reached significant accomplishments. It‘s amazing what you’ve been able to achieve. I believe you’re the largest Slack community. No! There’s probably someone else which is around the 40,000, but I think you’re one of the biggest Slack communities online at the moment. Is that correct? David Markovich: Yeah, I haven’t come across many other communities that are bigger. I think iOS developers is 20,000, and that’s the biggest I’ve seen. So, hopefully, we’ll be, but I’m not chasing numbers. So, if I wanted to reach 50,000, I could do that. We could just accept everyone and kinda work backwards by accommodating destructive people we once removed. Instead, we went the other route, and we realized we don’t want massive numbers. We don’t want massive engagements. All we want is high quality people that wanna learn. David Markovich: Through that, we didn’t have to ban many people. We didn’t have to worry about spammers. So, I don’t know if we’re the biggest. I haven’t come across that many that were bigger; like I told you once, but we’re definitely the most engaged. David Markovich: It matters of the community. So, I launched the community six months ago, and I had 20 people. I was ecstatic, and I was like, “Wow, this is proof.” Because it was just specific and there’s not that many people. The people I was looking for was only in like less than 500. So, a good metric is you look at other communities and you see how big is the industry, and how big is the industry, how many people in the industry use the platform I‘m launching this community on? And figure out a goal number, and then from there you could break out particular goals. David Markovich: So, if the industry is 100,000 people, and out of those 100,000, you establish that 200,000 of them use Facebook. Your goal should be, if you’re launching a Facebook group, 2,000 people should join this group, right? 10% of a possibility. If you grow larger, then you exceeded your goal. Vahe Arabian: That’s great. This analogy provides the information to people, who want to be realistic because people might seek to get the biggest numbers. And if they haven’t seized what else is there aligned, and then setting themselves up professionally (it’s not advisable). So I appreciate you saying that. You also mentioned quite a few times in the conversation around the number of messages as a metric. Why is that? David Markovich: I’ve said this before. I think it’s fairly easy to create a community. I’ve worked with companies who built a community and they’ll put a tremendous amount of money in ads. Then, get a ton of people to join a Slack group, another platform or forum, and there’s not that much engagement, right? So, grow, tempting people to sign up to a newsletter is fairly easy. Getting people to open anything newsletter and engage or refer their friends is the hard part. Vahe Arabian: So, actually it’s a key metric you used to measure engagement, and also is it something you also present to potential advertisers or people who are interested in monetizing the community? David Markovich: Yeah, exactly. Yeah, numbers, there’re newsletters out there with million people I wouldn’t give a dollar to be in there, right? We talk about Facebook groups. There’re Facebook groups with no engagement, and engagement is quite important. It should be the most important metric you present. Vahe Arabian: Just briefly on this topic. Are there any other qualitative metrics to engage the metrics you measure or look at? David Markovich: Are you interested in this so much that you’re gonna go to your community or your friends’ group and say, “Hey, join Online Geniuses. I’ve got a lot of knowledge out of there. I made a hire out of there.” There’s a metric I look at. So, if it’s organically growing with a word of mouth, and there’s such tremendous amount of messages, then I think that’s a precious indicator that this is a social community? Vahe Arabian: So, organic growth, I guess you’ve got to look at the gross acquisition channels, and then from that determine whether it’s organic search or those channels, and then that’s your overall organic growth KPI? David Markovich: Yeah, so we ask everyone when they joined or how they heared about us, and a lot of it is by word of mouth. Vahe Arabian: It makes sense. What do you find these days, in terms of growth acquisition? what channels do you find that helps, I know it’s gonna be very different, depending on your different niches. But for people in digital marketing, what do you find the best quality acquisition channel to start off with at least? David Markovich: So far it‘s a research. People are searching for communities on Google. Like, “Hey, we’re gonna chat with people about PPC, and hope to show up in those types of search terms,” and it’s been working pretty well. Vahe Arabian: Okay. So, you spoke about that, and you’ve reached a point where you started monetization. What does monetization look like in online communities, and what’s the perfect way to monetize with no compromise on quality. What’s your company is all about? David Markovich: We call them partners. We don’t call them sponsors ’cause the way we get them is via partnership. We also vet sponsors or partners the same way we vet members. We let no one get in front of our community because, we’ve got that trust factor of like, “Hey, there’s only so many times we can mess up before another community comes to take our place.” So, we work with sponsors and have the pleasure of working with some of my favorite tools. We have a form that people fill. David Markovich: When you join Online Geniuses, we provide you a check box and say “do you want to push your product to Online Geniuses?” Right away, we have a bunch of warm leads right off the bat, and then we have someone look through those and say, “Hey, what is the community looking for, and how could we arrange something between them?” We’ve been happy with how that’s been going, and when you’re in a community, it’s either you’re paying for it or someone else is paying for you to be there. We rather let people come in free and somebody else pay for them to be there, which is like a sponsor to get in front of them and with no compromise on quality, on either side of the spectrum, and it’s been working. So we‘re happy about that. Vahe Arabian: What are some favorable moments and sponsorships you’ve been able to put together, which has benefited the community, and what’s been the impact of that? David Markovich: So, one of my favorite moments, when we got some superb AMAs. And so like early on we got the VP audience development at TechCrunch to do an AMA, Travis Bernard. David Markovich: Yeah, nice guy. Vahe Arabian: Yep, I know. David Markovich: It was really a big moment for our team because we read and still read TechCrunch all the time, and they do a great job with audience development. It’s likely they’re doing the best job with audience development in the technical new space. That was a big deal, then. When we got a sponsorship from SEMrush (they’re one of our largest sponsors now) and that was a big moment because we all use SEMrush, and when they came to us, and we worked something out, it was a big moment. They were like, “Hey, one of our favorite softwares came to us, wanted to do a deal, and it made a big impact and it showed the community we’re able to make moves.” I think another big part was probably when we hit like 5,000 members. David Markovich: I remember that day when I was like, “Wow, 5,000 people.” Like I haven’t been to conferences where there were 5,000 people. This is global, and these are people with different cultures and different tactics and I became friends with a lot. So, 5,000 was a fairly big point in our community. I think also, yeah, we got like Gary Vaynerchuk to do something with us, and that was big moment. But I think overall, like I think a big moment will be the day we hit like two million messages, and I think when we’ll do more unique in-person meet-ups. I like gathering people in locations where they don’t normally meet and discuss marketing. So, we did one in Tunisia, Africa. David Markovich: That was nice. We’re trying to do more in some remote locations, and that’s something I get involved with. I don’t normally get involved with the meet-ups. They’re usually chapter leaders from within the community that gets supported by a local organizer, but we like these specific ones where we never had a marketing meet-up ever in this location, and that’s when we get involved. That’s when I’ll get involved and try to make it work. Vahe Arabian: It’s awesome that you’ve got to that level of having those local chapters and everything around that. Yeah, to the point of local captivities and advocacy, did you find that there are people naturally say, “I want to get more involved,” or you hired more people? How did that process work once you came to a point where you were fairly flexible as a community? David Markovich: Yeah, so as someone who has been running communities my whole working life, I always get those emails. Like, “I wanna help out.” It’s really an email that just says that. Where it’s just like, “I wanna help out.” And you’re like, “Oh, cool. With what?” And they’re like, “I’m not sure.” So with outreach like that, like I sometimes create like, “Hey, what are your strengths.” I know people they wanna get involved, they’re just not sure how. I actually really appreciate that. David Markovich: I appreciate, like I’m willing to do it. I wanna help out. I use this community and I wanna help out, but it’s superb when someone is like, “Hey, I’m in Detroit. I see a lot of other people are located there and I would love to run an event for Online Geniuses.” And then that’s when we see things roll in the action and moves being made. When people come in and they wanna volunteer, they wanna help out with just a direct idea and make it come to life. Vahe Arabian: So, do you find that more often or do you also go out and recruit people as well? David Markovich: I started doing that. So, when I first started the local meet-ups, which we don’t really do that often anymore. It became super time consuming, and also like we would build up a meet-up for a person we never met, so we would like, “Hey, this is the Online Geniuses meet-up in this location. Help them around their first two meet-ups, and then say, ‘Okay, now it’s in your hands. '” And what they would do is to just re-brand it as their own, take their members and start their own meet-up, which is like very entrepreneurial of them. But they used us as a stepping stone to do this, and now they run a meet-up, and they’ll start their own mini-community, which I see many times fail, and a lot of it is based on Online Geniuses. David Markovich: So, we kinda put a hold on that. It was just a lot of work. Like it was a lot of handholdings for folks who run communities, and then sometimes eventually just as some of our biggest meet-ups just either died out or went to go start their own brand. It’s a big issue. I have friends, so like Courtland from Indie Hackers, some other friends who do a lot of these global meet-ups under one brand, and It’s very hard, like you end up putting in a lot of hours to manage these and make sure everyone gets supported. So somewhat, we have a few that have been running and they perform well but regarding expansion, that’s been on hold. David Markovich: So, when I first decided that I wanted to do meet-ups globally, I reached out to a lot of these marketing meet-ups that were dying, and I reached out to them and said, “Hey, we have this brand. We’d love you to be a part of this so we could help you get speakers and space. How about you revive this?” A lot said yeah. So, you build out this massive network of people who run meet-ups, and we could get them all into one place and help each other to build relationships and use Online Geniuses as a parent organization to help them grow. We put together a huge talk about how to expand meet-ups and how to grow them, and we found it to be good. Only thar it was super time consuming, and we’re not a big team. It’s quite the opposite, they’ve been on hold for a little. Vahe Arabian: That’s interesting. That’s definitely a challenge, and would you say there’re other examples you’ve seen online that worked? I know it’s time-consuming, but you said in the firewalls that there’s one of them that does. Do you know of any other example? Do other products do more of them? I’m not sure what they’re doing these days in terms of local community events, but do you know other ones that work fairly well? David Markovich: I think Startup Grind does a good job. I‘ve not come across too many marketing ones. That was the issue as well. It was just not that many people were doing what we were doing, and it was hard to a look at others for inspiration, and it was kinda like teaching myself how to do this from scratch. Like how do we manage 30 people all running events around the globe? How do we delegate time for each of these? How do we find the right support? How do we prevent errors from happening? How do we make sure everyone feels they’re part of this? We didn’t have a lot of inspiration, and a lot of it was just learning ourselves. I think when we run the meet-ups again; I think now we learned a lot of lessons and we hope for them to be loudly successful. Vahe Arabian: So, without going too deep, I guess, I don’t wanna share too much of your experience. But to get more of your message, what are some things you’ll do differently next time? David Markovich: That’s been working, and once we hand it over the full control of the meet-ups to the organizers, they ended up putting more effort and work harder. This kinda feeling like it’s more the baby and they can’t get kicked out. It’s their priority, and they’re just using our brand and we’ll do whatever we can to fill the meet-up up, and in return they push these local cities, which grow the communities from a perspective. Vahe Arabian: It makes sense. So, making them as accountable as possible, I guess, is to give them that freedom, but have faith was in the brand as well? David Markovich: Exactly, you need more skin in the game to move this forward. I think about it as a limited time, like I would fully focus on the meet-ups because I really enjoy, and I think a ton gets accomplished when like-minded people get into a room together to discuss things. I think it’s a great way, and I met some of my strongest business partners and I wanna pass that over, and I’m a big believer in karma, the strongest believer in karma. I’m like what goes around definitely comes back around. David Markovich: And if we make these ripples from around the glob, we have the potential to do so, and a lot of those ripples from around the globe will come right back to Online Geniuses. We’ve seen that happen, and we’ve seen that happen for some time. Vahe Arabian: Absolutely, because it’s about how you leave your impression on other people. I agree 100% and I’m on board with karma. So, David, just coming back to onboarding. How is the online Slack group now? Do you have the team of moderators? How does that work? David Markovich: Yes, so we’re like a team of like 15 moderators in different time zones so they can moderate the different channels and spams and stuff like that, so very helpful. It’s impossible to read through everything every hour, just it’s a lot of time. So, when it’s split up with the moderators and myself and some of my team, it makes it a strong community. You think you could just leave a community alone and they’ll just grow? It’s wrong, and that’s something I talk about a lot. Like you have to feed the dungeon to keep it rolling, and make sure that the community is as strong as possible, at every moment. David Markovich: So, like, “Hey, what are the other ideas that some other communities are growing, and what are tools that people are adapting to that you can integrate it in the community?” We found that to be very helpful. Vahe Arabian: Absolutely, and with the moderators, are they mostly part of your time or is it a combination of community members who’ve also stepped up as well? What’s the split of that? David Markovich: Yeah, it’s mostly community members who stepped up to the plate and said, “Hey, I wanna help out.” Like we kind of touched up on this earlier like, “Hey, I wanna help out with the community.” “Oh, cool. When do you wanna help out with being a moderator?” Bring them on board, and we have like an onboarding session we could go through. Vahe Arabian: Awesome. Yeah, onboarding aspect and having the processes and tools in places. It definitely helps with that. So, what are the tools, the onboarding processes to used to help really make your day-to-day go smooth as possible? David Markovich: Yeah, if everyone understands, it’s mostly for the moderators. We try to bend as much as possible, because we knew always there was a lot of room for error within the community, specifically for people who just joined, so they might say, “Hey, I joined this community. This is a tool I’m working on, and I built it.” Other members who’ve been a part of the community for quite some time might like, “Hey, you’re spamming our community. Ban this person.” And we’re all like, “No, this person just joined.” Error. We’ll warn them, point them in the right direction, “Hey, this is where you should post this.” Usually they follow, right? David Markovich: For instance, I like to assume what people who come into and end up spamming or not doing it maliciously just because of our vetting process. Most times it’s an error. Like I’ll get an apology: Hey David, I’m sorry that I placed it in the wrong channel. Where could I post this or where could I ask for this? David Markovich: I get those questions and I respond to every single one. The big thing is before we ban someone, we warn them, and if we ban we put it in a Google Docs, or for example, if they come back and like, “Hey, why did I get banned?” And since there are so many moderators that answer, “Hey, you got warned twice, and you’ve just been continuously doing this, and we’re getting complaints from the community, and we’re trying to keep this as strong as possible and are making this weaker and you’re making it hard.” They don’t realize that they’re not humanizing the communities or they don’t see it as human. They see this as a channel they could blast. David Markovich: Like we’re trying to keep everything organized ’cause there’s a lot of people and there’s a tremendous amount of engagement and we don’t want a few people to ruin it for everyone, where someone is like, “Okay, this is for a spam. I’m not getting engaged anymore.” We don’t want that way too much work and way too much time into making it happen. Vahe Arabian: How did you make that happen in the earlier days’cause especially for a small community you find that people who found around the communities get it up and running and they post a lot of stuff to get an engagement from people but that might seem from the users’ side they’re spamming or maybe they’re parading themselves or it’s just bombarding them with too much messages. How do you find the right balance in getting people to engage? David Markovich: It has to happen naturally. So, if the person that runs the community is the most active person in the community, you don’t really have a community. You have a feed that people follow along with your ad. David Markovich: Right? So if it’s just you, and I’m part of some groups like that, which are not mine particularly. The person, who runs the community, the founder of the community, is the most active person 90% of the time, so you don’t really run a community. It’s just you talking and people hanging around and there are better platforms to create something like that than building a community. I’m not that engaged in our community. I rarely share, and I focus on like, “Hey, how can I grow this community and how can we get more qualified members and stuff of that?” The engagement I want to happen organically, then if it doesn’t then it’s just not a strong community. So that’s what I was telling you, so almost 0% of the engagement is driven by us. Vahe Arabian: So that’s what helps with onboarding and some things you mentioned earlier that really, really helps people to get more active. David Markovich: Man, I think anything spoken about in Online Geniuses are all likely be spoken in other places Online — like hot topics obviously from like a high level artificial intelligence is just the hot topic and we’re talking about real machine learning where it’s not like you call a product AI and realize it’s just matching, right? Like we’re artificial intelligence. We’re the computer teachers itself, right? Like not a recommendation algorithm where it actually could expand, and that’s very, very interesting for marketers, ’cause if the algorithm could continuously teach itself when to send out an email, right? David Markovich: So, if it could send this email works at December, people have a enormous open rate around 11 o’clock Pacific Standard Time, all right? So, every December they do that, and the click through rate is on this call of the button, and if the computer could teach itself that. So, that’s a hard topic, and understanding when it fits into marketers, right? So, if you’re an eCommerce shop selling clothing, what’s the best solution if somebody from Alaska visits your site versus Miami Beach, Florida? Shouldn’t it show them different clothings? David Markovich: And understanding that, and there are tools that exist, and which tools are the best, and who’s gonna be the strongest about this, and which open source platforms can you use this like for artificial intelligence for either building your own tools or implementing an a tool anything already exists. Very interesting stuff that’s like when will AI be able to rate your own content and how powerful will that content be? Or how does AI play a part in SEO, and where is that gonna go? David Markovich: Because it’s gonna come, and then a lot of industries are gonna collapse, and the ones that are gonna be the strongest are the ones that think AI or really understand it enough to use it the strongest. David Markovich: Yeah, so for a while, every Thursday, we did CRO Tear Down, and I’ve seen firsthand people changing their website through the feedback they’ve gotten in there. When we bring an AMA guest, the AMA guest might share something that somebody might’ve been working on for two months and might solve their problem in two seconds, right? And I’ve seen those things come to life, and a lot of times, I’ll make on my calendar to see, “Hey, like this is my site. What could I change to higher the conversion?” And I’ll see the feedback they get and put it into account or like a month from now to check in this side to see if it got implemented just out of curiosity, and most times it has. David Markovich: So, I see it but it’s very hard to do that. It’s a manual process so a lot of times when I discover whatever impact Online Geniuses have had, it’s when I meet members in person or they reach out to me and say, “Hey, I made this higher. Me and this old guy partnered, and we founded a business together, or I got this client.” And then it’s very important, like it’s very important to show appreciation to the chain, right? So, if you met someone in Online Geniuses and they introduce you to someone, and then they introduce you to someone, and now you’re co-founder you should go back up the line and thank to all those people. David Markovich: Getting a friend to introduce me to it, this person you could say thank you for introducing me to this, and hey, David, I thank you for having me in Online Geniuses because all those happened. The reason it’s important is that you’ll always be top of mind ’cause gratitude always pays off. I see it a lot. I see it a lot on the opposite side of the spectrum where people do tremendous things within Online Geniuses and they go to the next part of their life, and I’ve seen people make moves and they send you a really nice email with a lot of gratitude, and it helps. You have the respect of the chain. David Markovich: I tried doing that. Like I’m speaking to myself right now as I say because I try to do that too, because life moves so fast and sometimes you forget, “Hey, where was this link that connected me here? How did I end up here? Into this position?” A lot of time, if you think them firstly, it’s an easy way to open a conversation with somebody you haven’t spoken to in a while like, “Hey, I wanna thank you that this happened.” You almost get a response because it’s just so unfortunate people are grateful. Vahe Arabian: I agree. Usually ’cause you get this generalized messages asking you for paid things instead of getting thank you, so it’s definitely different, yeah. David Markovich: Those end up becoming moderators. Those end up becoming in my life that ask me for favors I’ll, “Oh, it’s returned.”. Vahe Arabian: It’s a glass half full versus half empty. David Markovich: No, or just like hey, the people are like ‘I wanna get …” And then there’re matchers like, “Hey, I got something from …” You scratch my back, I scratch.” There’re others who just unconditionally give. That’s more aligned to my personality ’cause that’s how I grew up, and that’s how I try to live my life so I relate more to those people who are just natural givers. David Markovich: When you meet them, you’ll see. Transparently they’re just, “Hey, I wanna give.” I told you, I made a group in WhatsApp recently, and it’s doing well. Like I said, I couldn’t handpick better people. Everyone has a few things in common in the group. One is that they have massive networks, so they’re like me. They run a community or they do something where they have them meet a lot of different people and they have these networks and they’re well liked. They end up taking advantages of these connections that the make, and the other thing is that they’re givers. So, in our group, we don’t have to worry about like if someone needs something and there’s only like 30 people in it, you’ll get it done if someone in the group could help you. David Markovich: It’s not like there’s landing page about it. It’s like people I’ve met in my life, who I’m like, “I wanna introduce you to some people that are closest in my life, and I wanna see how this expands.” Good things have happened. Vahe Arabian: Yeah. Yeah, not going to repeat the same thing, but I agree 100% with you on this. How do you share some wins with your team? When you’re picking out one of these wins, how do you keep them motivated as well. To make sure they’re providing extra for the best, like you did for the community? David Markovich: Ours are very transparent. So, several of our accomplishments within the community are very transparent. When we are at a certain level of engagements we announce them, when we get certain guests we’ve been trying to get, when we get certain partners that like everything is very transparent, and I think builds it. That builds up, it’s like compounds every time something good really happens, ’cause it’s all chain reaction. If we get a superb partner, the partner might push us, or he might get us another partner which might get us a guest which might get us in a publication which gets a lot of sign-ups. It keeps on flowing. It compounds on top of each other, and I think it’s very transparent. Vahe Arabian: Yeah, so having everything transparent provides the compounding effect and motivates people to keep going. So, yeah, that makes sense. David, I guess just to finish on a high note, what do you see next year’s plans? ‘Cause at the time of this recording, we’re recording at December, so what do you see next year’s plan and your direction moving forward for OJ, and your new communities you started? David Markovich: Yes, I’m running few communities and I hope that they all just continue to grow Online Geniuses, and particular gets to 30,000 members hopefully next December. We grow 60% last year, hoping to grow 100% this year. We still want the same strategy of organic growth, and how knows, maybe this podcast is the tipping point. Vahe Arabian: I hope I can definitely play a role in that, so I thank you so much for your time, David, I really appreciate it. David Markovich: Thank you for your time. Really, likewise, I appreciate you having me. Speaker 1: Thank you for joining us on this episode of the State of Digital Publishing podcast. Listen to past and upcoming episodes across all major podcast networks. Follow us on Facebook, Twitter and join our community groups. 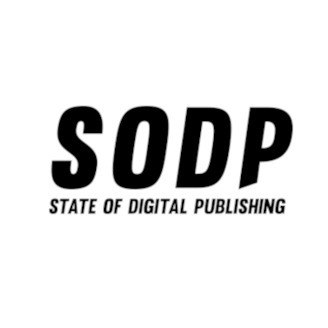 Finally, visit stateofdigitalpublishing.com for premium information, resources and become a member today. Until next time.